I enjoy different types of drawing experience. After the quick sketch exercise my next challenge is a more fully realized drawing. The one displayed titled The Lovers is a 40 minute compressed charcoal and pastel drawing where the line and gesture conveyed a sense of immediacy. The other drawing experience is one where I employ a slower more considered way of drawing more suitable for etching and drypoint. 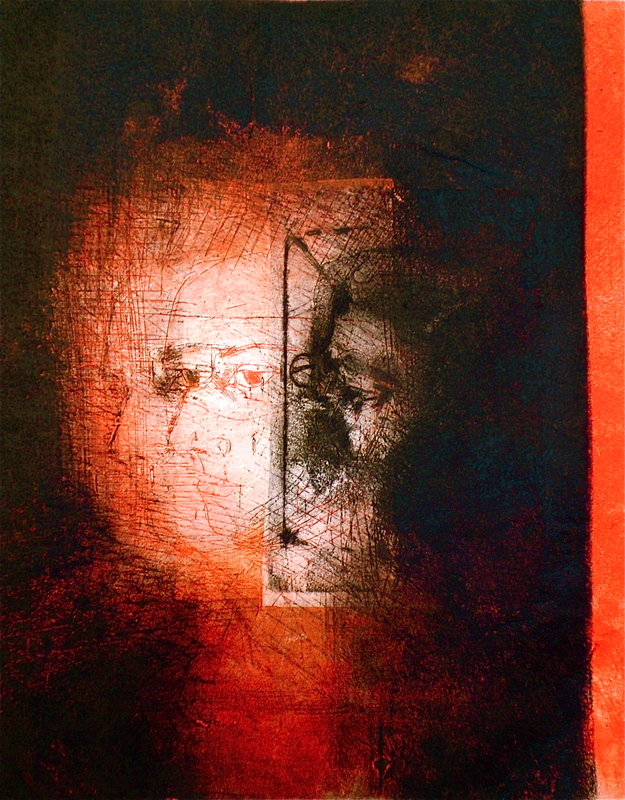 This technique is one way where I express the sense of a quieter mood and stillness shown by the work titled The Keyhole Image 2. This is a single print rather than one of an edition where two plates were printed separately as part of the one image. from the series titled Natalie with the Gaze and the Glance. Life-drawing once the central discipline of art practice has in many art institutions has been neglected and replaced by different technologies. But in order to create a three-dimensional form on a flat surface skills like perspective, foreshortening and knowledge of anatomy are necessary. The placements in a composition of tonal values, colour and texture rely on application of this basic knowledge. Understanding of form, space and then mark making is what life-drawing is about. Line, evidence of our visual thinking, exploration and research comes first in my practice. On another level images of the human form, types of identity, interaction, mood and drama always engage me. How we define ourselves in a changing world, what we see and what we ignore, and why underpin return to images of ourselves. 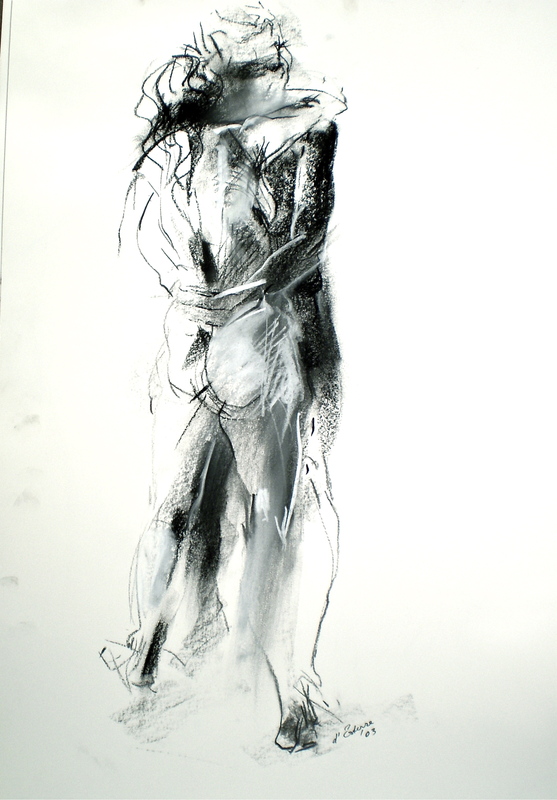 The Lovers, 2003, charcoal and pastel 75×56 cm. Categories: Drawings, Prints | Tags: drawings, faces, figurative | Permalink.